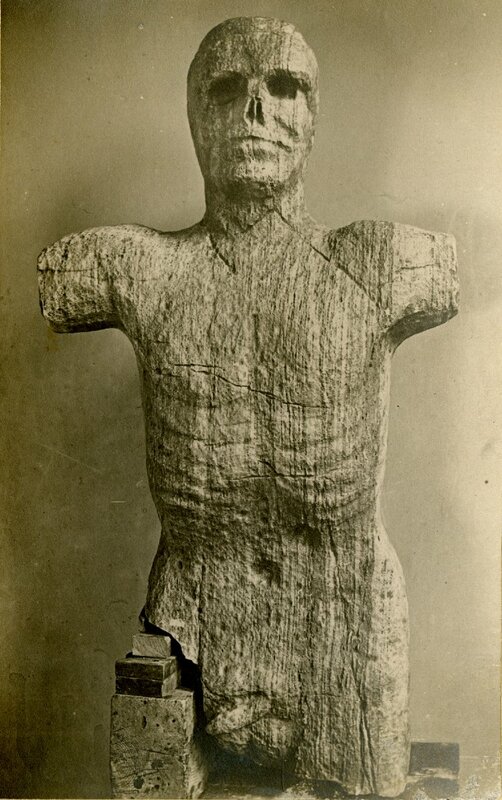 Native People of the Northwestern United States supposedly carved this figure. 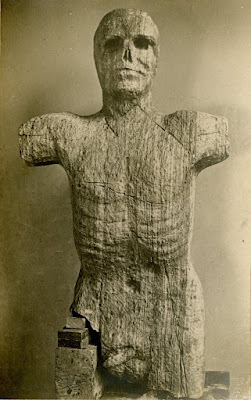 The wooden sculpture, which does not look at all like their usual art, is 4'9" tall, showing that at full height this figure would have been easily over 7-feet tall. There isn't a proper dating on the figure, but it was carved out of a single piece of wood and believed to have come from the Victoria Area. Perhaps most haunting of all are the eye sockets that are skull-like and some details that are not particularly attributed to the native art of the area. Whoever made this figure, they left a lot of questions behind.